Please post all discussion about the second SuperSport Challenge match in this thread. It is expected that Cricinfo will be covering it with constant updates as they were last time, but without the ball-by-ball. This match, unless SuperSport have a change of heart, is not expected to be televised either in South Africa or abroad. No Duffin, no Cremer (the reserves are stay-at-home reserves, so are unlikely to play). With a bit of luck, the starting eleven will look like this: Vusi Sibanda, Brendan Taylor, Chamu Chibhabha, Tatenda Taibu (wk), Sean Williams, Hamilton Masakadza, Elton Chigumbura, Prosper Utseya, Gary Brent, Ray Price, Chris Mpofu. That is a perfect team make-up I think. Chigumbura and Brent can take the new ball, Chris Mpofu can be first change and if the need a part-timer to bowl some pace they could turn to Chibhabha. Then Utseya and Price can come on and choke the opposition for runs like they did in the ODI's. Williams returning to the middle order is a major boost, hopefully by the end of this match his average will be over 50. But as ever, while that is the strongest lineup, there is always a possibility of a surprise selection. Probably Dabengwa will play ahead of Chris Mpofu, the selectors seem to stick with Dabengwa quite a lot. 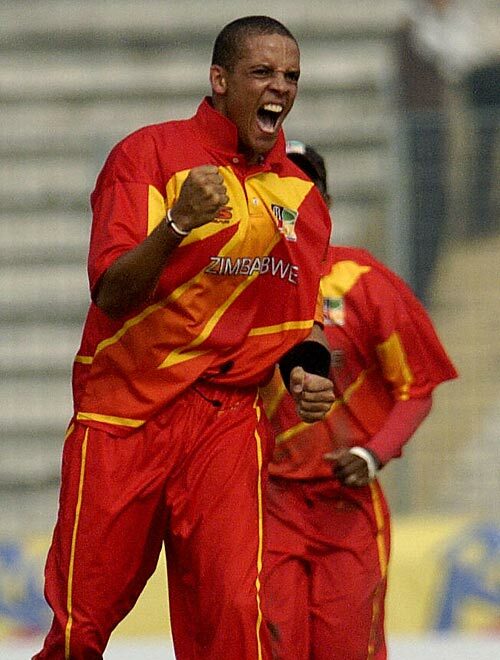 lets hope Zimbabwe do wat they did the first time. Yes, you read correctly. Two white players, following on from events earlier this week, Gary Brent and Sean Williams were not included. Matsikenyeri and Dabengwa both got into the team ahead of Zimbabwe's best First Class batsman, Sean Williams. Zimbabwe batting first. In another strange move, Chris Mpofu is opening the batting (just kidding). Hopefully this is a message to the selectors.